The tales of famous Roman women such as Lucretia and Virginia serve to reinforce the stereotypes of the ‘matron’ and the ‘virgin’ as exemplars of Roman virtues. Both these women died tragically: one defending her family’s honour by suiciding, the other murdered by her father for the same purpose. Their deaths were seen as catalysts for rebellion against oppressive and corrupt rulers. However, these women were not the instigators of great social reform. They gained fame as victims while their men were hailed as heroes for spurring the Roman people to oust the defilers of their wife or daughter. There is another girl of Roman legend whose death led to victory over one of Rome’s enemies. Her name was Tarpeia. Yet she is not remembered as a martyr but as a traitor; not as virtuous but venal. Early regal Rome was basically a township located on a few of the seven hills which eventually comprised the great city. The Romans were always scrapping with their neighbours. 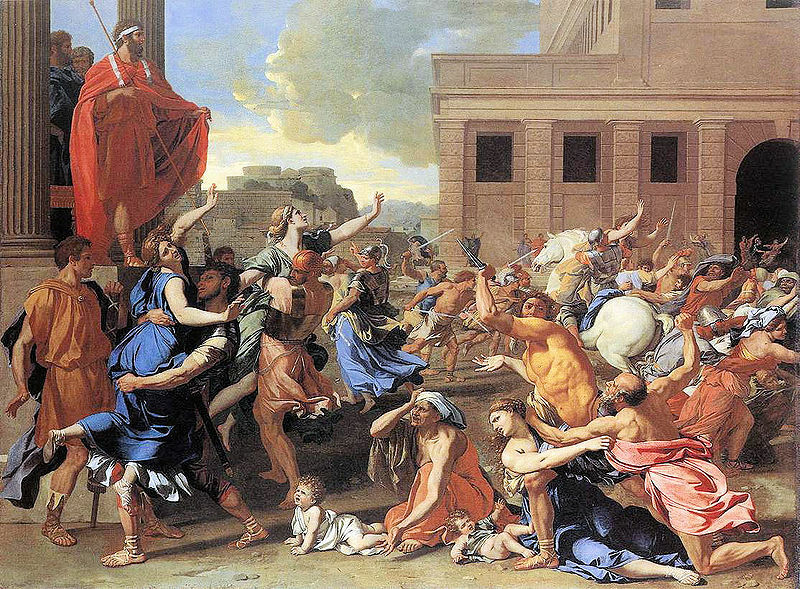 The nearby Sabine tribe was at constant loggerheads with King Romulus as both peoples fought over the same territory. The conflict reached its climax when the Roman monarch devised a ruse whereby the Sabines’ daughters were abducted to provide wives to his men. The incident became known as theRape of the Sabines. As a result, King Tatius gathered his army outside the Capitoline Hill to reclaim the women and conquer Rome. Alas, poor Tarpeia. Her fate was to serve as a lesson to all who sought profit over loyalty to Rome. After she allowed the Sabine warriors to gain passage into the city, they turned and killed her. Instead of showering her with golden bracelets and rings, they struck her with the shields they bore on their left arms, heaping the weight upon her until she was crushed. For even the enemy found her treachery repellent. Once inside the citadel, the Sabines quickly overran the surprised occupants, forcing the Romans to retreat to the Palatine Hill. The girl’s perfidy, though, did not cause utter defeat. Stung by the duplicity, Romulus called upon the gods to deliver Rome’s land back to its rightful people. With renewed spirits his army advanced upon the foe. Strangely enough, the bloodshed was stopped from an unexpected source. The kidnapped Sabine women, who’d now become Roman mothers, appealed to both sides to unite instead of waging war. Here, for the first time, women were the authors of change. 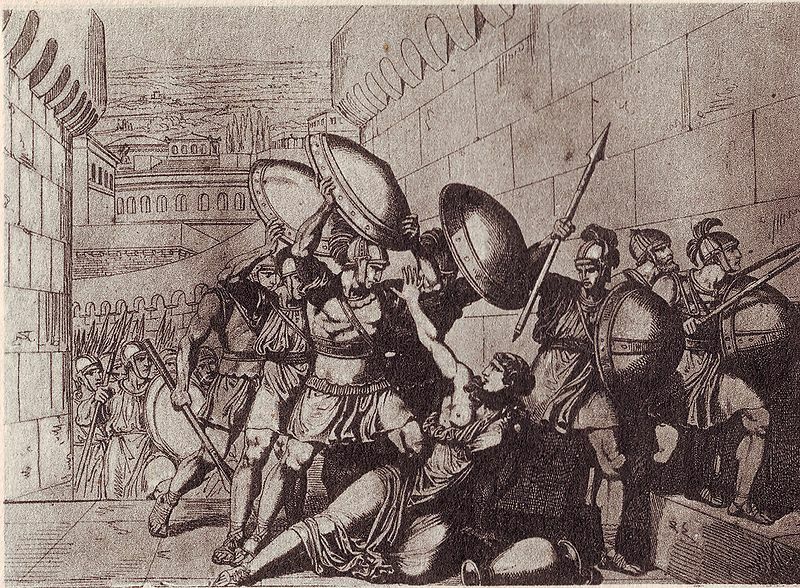 The kidnapped women rose above the crime committed against them and persuaded their Sabine fathers and Roman husbands that there was advantage in joining forces. As a result, Rome’s population doubled and its defences were reinforced against the next wave of Latin tribes who sought to seize Roman land. However, we know none of these Sabine women’s names. They were anonymous even though influential. 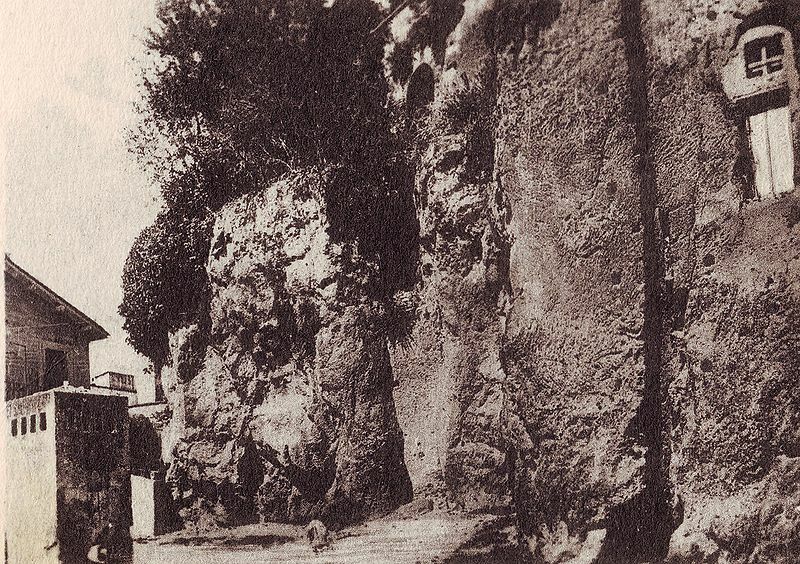 Legend tells us that Tarpeia’s body was buried beneath a cliff on the southern summit of the Capitoline. Towering 25 metres above the Forum this site forever bears her name. And for centuries afterwards, all notorious traitors were thrown from the Tarpeian Rock, a fate worse than death because it carried the stigma of shame. Historians have chronicled numerous, complex accounts of male Roman politicians, generals and traitors but there only a few stories of famous Roman women. Their stories are morality tales to be handed down from generation to generation. Whether a paragon of virtue or the epitome of disgrace, Tarpeia, Virginia and Lucretia will always remain cyphers – dying for Rome, not living to lead revolution. Thanks for dropping by, Rebecca. I’m always saddened by how little we know about the women of Rome. Or most other ancient civilisations.